Red hearts, red roses, red kisses – the three symbols that spell romance. With Valentine’s Day just around the corner it’s time to inject a little passion into your life, and while I can’t advise on hearts and flowers, I can definitely give you a helping hand when it comes to creating the perfect scarlet pout. As well as being the month of romance, February is also British Heart Foundation’s Heart Month. To help raise money to fund life saving heart research, I got involved with their #WearItBeatIt campaign on Friday – you can too, by getting sponsored to wear something red – or simply a red lippy! For more info on this worthwhile cause visit bhf.org.uk/red. If you’re a little bit scared by full-blown scarlet, a good place to start is with a subtle shade of pinky red. These softer, magenta hues are less dominating than a bold blood red, and they flatter all skin tones. 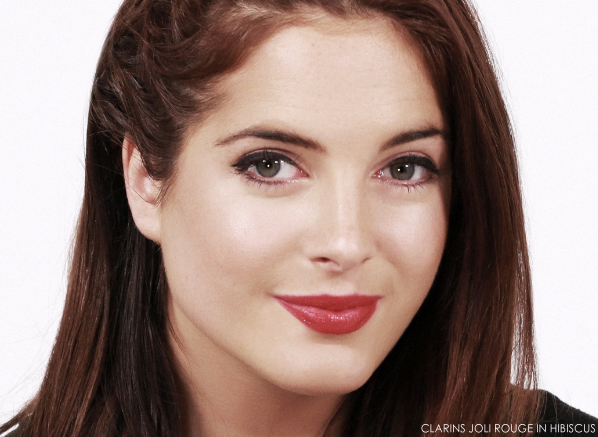 My favourite is Clarins Joli Rouge Lipstick in Hibiscus, a satin formula that glides on beautifully straight from the bullet and colours your lips in a warm, glistening sunset shade. Long-wearing and wonderfully moisturising, this is a great everyday red. Right now, it’s bang on trend to pair bright red lips with understated eyes and cheeks – you’ll see all the celebs sporting this look. So a classic bright, fiery tone is a must for all fashion-conscious red-lipstick lovers. 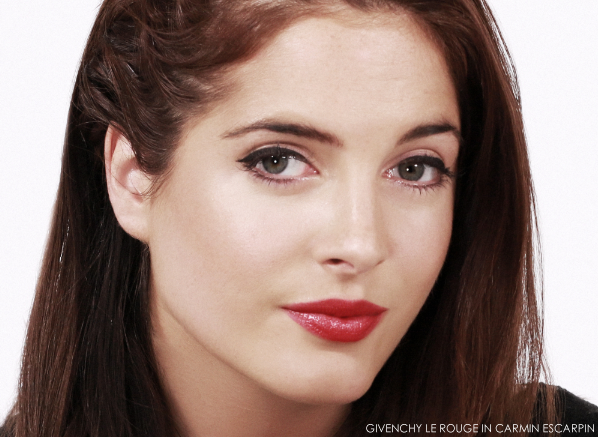 My favourite is Givenchy Le Rouge in Carmin Escarpin. It’s a universally flattering shade, working equally well against pale, creamy complexions and golden tanned skins. When it comes to red lips for a glamorous night out or a romantic date, the shade to go for is a deep, sultry scarlet like Shiseido Perfect Rouge in Dragon. These rich, ruby reds look passionate, dramatic and sensual – they really make a statement. Thanks to its rich, hydrating formula, you can apply this lipstick straight from the bullet, but when I’m wearing a strong shade and want to create the perfect finish, I prefer to apply my red lippy with a lip brush like Daniel Sandler Lip Brush to create a really polished, professional finish. Bold, tomato red is a real go-anywhere colour. Elegant and feminine by day; playful and vampy by night, it’s a true cosmetics classic – the little black dress in lipstick form! Guerlain KissKiss Shaping Cream Lip Colour in Love Kiss is a vivid, vibrant shade, with a luscious, moisture-rich formula that gives it great staying power – exactly what you want for your a 24-hour pout. Pair this colour with another classic look – the cat’s-eye eyeliner flick – and whatever time your Valentine calls round, you’ll be feeling irresistible. If you’re after a dazzling pillarbox shade – a real showstopper – then look no further than Clarins Rouge Éclat Lipstick in Passion Red. 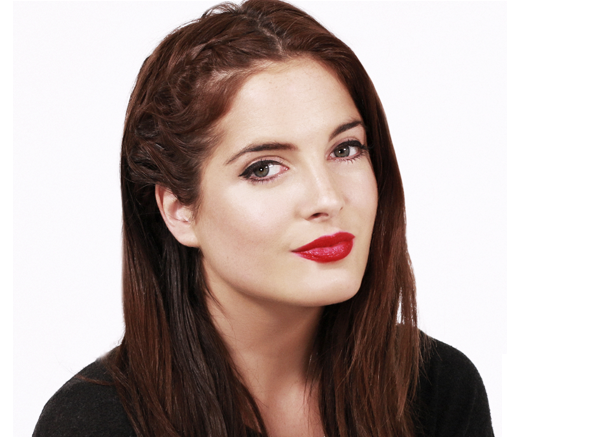 A gorgeous red-carpet red, this lipstick makes a perfect accompaniment to glam smoky eyes. Plus the silky Clarins formula will keep your lips feeling smooth and won’t dry out or bleed throughout the evening. Best of all, the cool tones in this red will make your teeth look whiter, giving you a real Hollywood smile. Whichever red you choose, have a happy, passion-filled Valentines Day! This entry was posted on Monday, February 9th, 2015 at 10:06 am and is filed under Binky's Beauty Blog #BBB, Guest bloggers, Make-up, Trends, Video. You can follow any responses to this entry through the RSS 2.0 feed. You can skip to the end and leave a response. Pinging is currently not allowed.